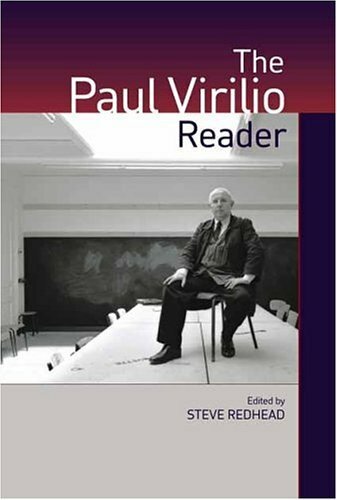 collects for the first time English extracts reflecting the entire range of Virilio's diverse career. The book's introduction demonstrates that Virilio has produced an important -- if controversial -- "theory at the speed of light" that uncannily illuminates the impact of new information and communications technologies in a world that collapses time and distance as never before. The inventor of "dromology," which views speed as a defining concept for contemporary civilization, Virilio is noted for his proclamation that the logic of ever-increasing acceleration lies at the heart of the organization and transformation of the contemporary world. Arranged chronologically, the Reader illustrates the development and interconnectedness of Virilio's work. Each extract is prefaced by bibliographical and contextual commentary, and the book includes an innovative guide to reading Virilio. Director of the Ecole Speciale d'Architecture in Paris since 1975, writer and cultural theorist Paul Virilio has written sixteen books, including War and Cinema: The Logistics of Perception, Open Sky, Art and Fear,and The Information Bomb.Steve Redhead has been professor of law and popular culture in England and visiting professor in communications and cultural studies in Canada and Australia. He has published a dozen books including Paul Virilio: Theorist for an Accelerated Culture.